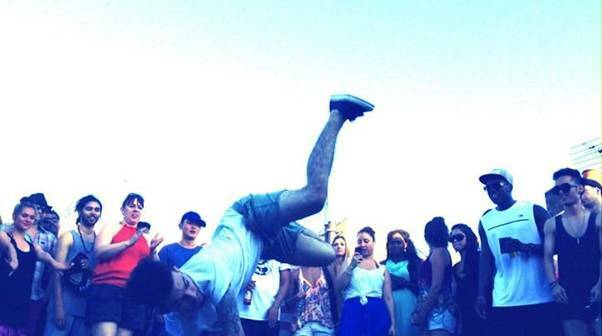 bboy | SOUL OF SYDNEY FEEL-GOOD FUNK SOUL DISCO vibes & beyond. This mature, infectious B-boy-breaks is definitely made with a dance-floor in mind & features an dope rework by Sydney’s legendary DJ & producer, Deejay Mathmatics. Out on very limited 7” vinyl (and digital) this is certainly one for crate-diggers, DJ’s & anyone who digs the raw instrumental funk energy you might expect from the likes of The Bamboos, Greyboy, The Dap Kings or Mountain Mocha Kilimanjaro. Dizzy Dizcipl has been into music since the age of 15 when his Mum bought him a pair of Turntables which started his journey into the world of Vinyl Digging. From that, Diz continued to expand his knowledge and dig for rare and hard to find records. From his influence of 70’s Jazz-Funk records, Dizzy decided to take up learning and playing music, his weapon of choice: The Rhodes Piano. 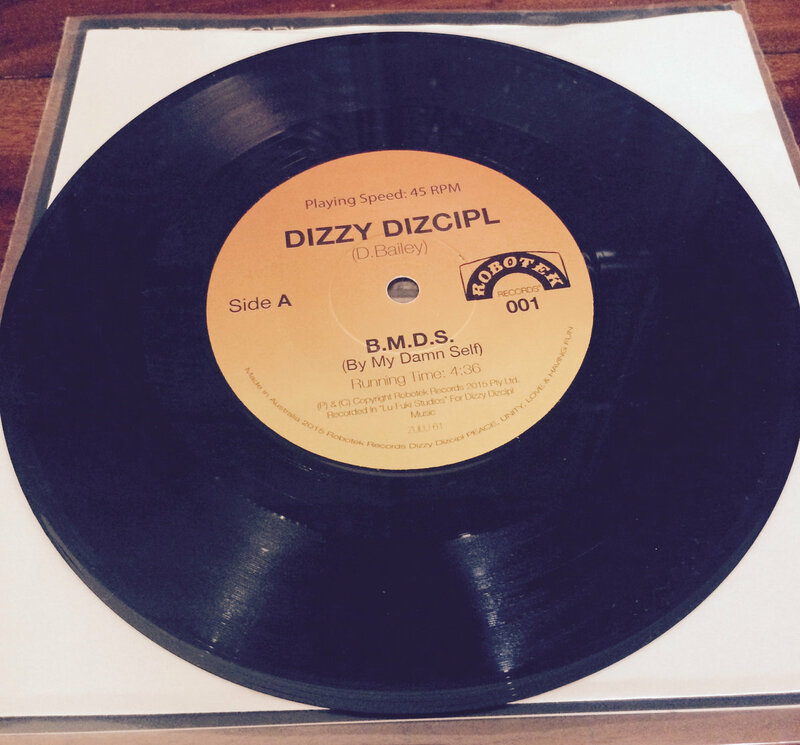 Dizzy has just released his first debut original Funk 7” Single titled “B.M.D.S.” Which stands for “By My Damn Self” (As he played all the instruments on the recording) an homage to groups like M.F.S.B. and the Philly Soul Movement of the 70’s. Heavily Inspired By bands like “The Bamboos” and Brand New Heavies, Dizzy manages to capture a classic sound while still keeping a modern flavour for the ears of the new generation. Hosted by Soul of Sydney DJ’s & Friends. 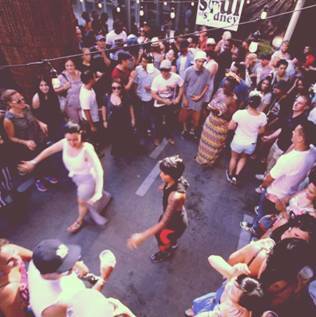 Strictly for the LOVE | Afternoon Feel-Good Funk Vibes + Old School classic party jams & beyond. SUPERBREAK, EDSEVEN, DJ NAIKI, DJ SAYWHUT?! and more. ★Live Sydney Street Art Showcase by Billy Kid & friends. SOUL OF SYDNEY return after a very memorable 2014 of parties for their fourth NEW YEARS DAY (and new years day night) for an afternoon (and evening) of FEEL-GOOD POSITIVE PARTY VIBES. 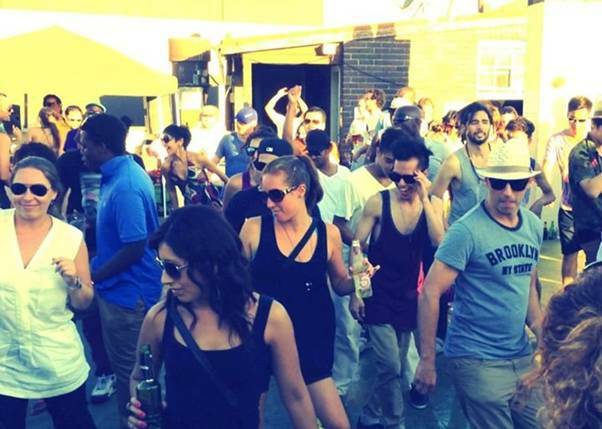 Expect and afternoon of feel-good funk jams, soul, bboy breaks, roller-boogie, classic hip hop jams and early house vibes as they bring in 2015 our extended SOUL FAMILY in the only way we know how, with good music, positive people dancing in key of life. 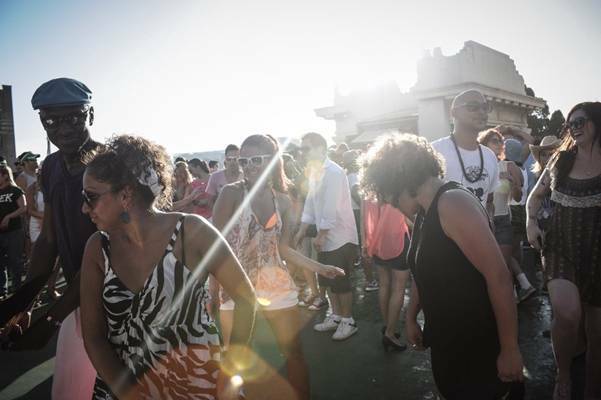 For the 2015 installment you can expect more of the same FEEL-GOOD party spirit, a throw back to better days when KOOL HERC & GRANDMASTER FLASH, LARRY LEVAN & FRANKIE KNUCKLES were headline DJ’s. This year they bring in the new year in a fresh indoor/outdoor oasis (5 mins from CBD) with one of the most vibrant and positive crowds in Sydney and one of the only places where DJ’s, Dancers, Bboys and Disco heads all meet to party bonded by a love for FUNK based music in all its forms. 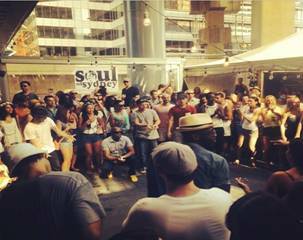 SOUL OF SYDNEY: Launched as a collective in 2009 as a new-years resolution between FUNK and SOUL devotees who were disenchanted with the state of music in Sydney & knew they wanted to do something to help their scene grow. They are a grassroots independent, artist run cooperative of DJ’s, Musicians, Producers, Dancers & Designers bonded by a love of ‘FUNK’ and ‘SOUL’ based music in all its forms, a creative family working to promote and support the music they admire as well as the street culture around it in Sydney. Inspired by recent trips to New York’s ‘Body and Soul’, LA’s ‘The Do Over’ as well as the musical ideals and legacy of some of the DJ’s, Clubs and producers who laid the foundation for HIP HOP, DISCO & HOUSE they aimed to bring their own brand of feel-good party spirit to Sydney and to showcase the DJ and Dance talent of our city. 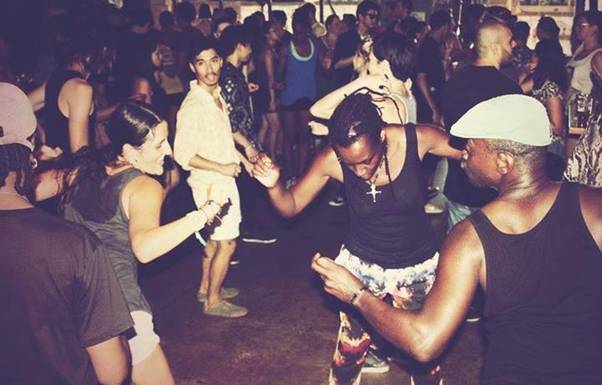 They have sought to encourage an atmosphere where DJ’s, Record Collectors, B-boys & B-Girls, and Musicians meet away from the usual late night bar and club situation, something on a Sunday afternoon where dancers and DJ’s connect through music in a more relaxed and personal setting. 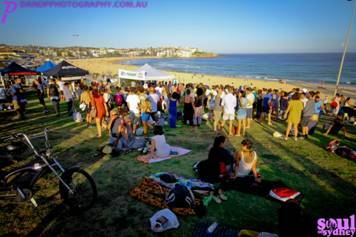 From humble beginnings in 2009 as a blog, they started to host a series of infamous Sunday afternoon block parties, picnics and events in various locations around Sydney by late 2011. Always keeping it fresh with a new secret location (released only to ticket holders), they have thrown parties in all kinds of interesting spaces including; public parks, carparks, laneways, rooftops, warehouse spaces, courtyards and fresh restaurant spaces around town and more recently Bondi Beach Skate Ramp for their reunion picnic 2014. 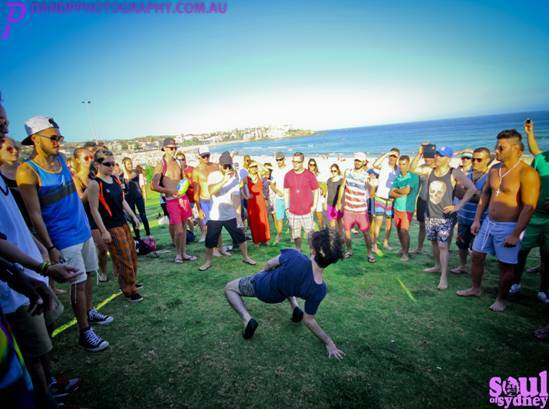 Back in 2011 SOUL OF SYDNEY collective took a chance purely as a couple of music heads on a sunny Sunday afternoon to throw a one off secret Sunday afternoon picnic. They set up turntables, and a small sound system in a park in the inner west Sydney with a simple idea to bring FEEL-GOOD FUNK & SOUL music in an environment where people had the freedom express themselves, where dancers connected with DJ’s and DJ’s had the freedom to play anything they were feeling. The idea was to try to bring something different for people who were too old for bars and clubs and way too young to give up on music in a unique kid friendly environment in park. Inspired by the musical ideals of early DISCO, HIP HOP and HOUSE pioneers such as; David Mancuso’s The Loft (NYC), Larry Levan’s Paradise Garage, Kool Herc’s Block Parties, Ron Hardy, Grandmaster Flash and Frankie Knuckles, they wanted to throwback to the roots of those scenes with an open music policy focused dance floor expression and a more inclusive environment. Three years on those musical ethics have not changed, still very open you can expect to hear an everything from the likes of; James Brown, Marvin Gaye, Aretha Franklin, Bob Marley, De La Soul, J Dilla, Stevie Wonder, Run DMC, Grandmaster Flash, Larry Levan, Frankie Knuckles just to name a few in a throw back to better days. Musically you can expect DJ’s to cover some serious ground, from Afro-Beat, Funk, New York Disco, Roller Boogie jams to early Chicago House vibes, classic Hip Hop jams beyond. It is a rare situation where DJ’s have the freedom to play more of the music that inspired them, their musical ROOTS and INSPIRATIONS which they wouldn’t normally be able to play in usual bar and club sets. SOUL OF SYDNEY are also collaborating with a host of Sydney creatives to also showcase a various street culture elements around the music. 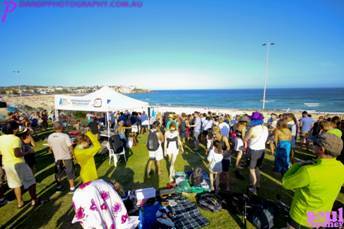 They have been working to bring many unique aspects to the events, including live street art, individual designed clothing, live hair braiding, live dance showcases by the likes of SYDNEY STREET ART PROJECT, BILLY KID, EDEN STYLEZZ (Hair Braiding) just to name a few. 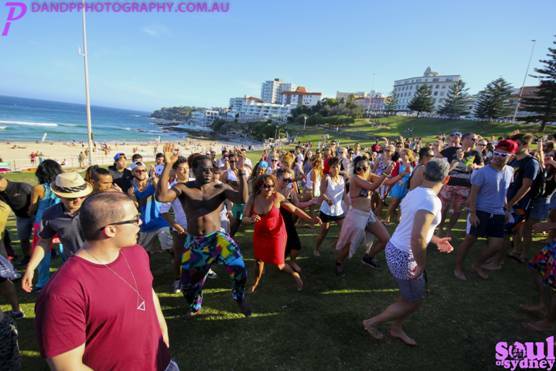 SOUL OF SYDNEY NYD 2015 WARM UP RADIO | Check out sounds from the DJ’s playing on the day for an idea of the kind of vibes you can expect. We are absolutely honoured to be able to bring a special Soul of Sydney set from our good friend, Sydney’s own DJ MO’FUNK who is back in town for a few weeks from his extended residency at Pacha Terrace in Ibiza. As one of the finest selectors in Sydney and one of the few DJ’s in the world doing it large in Europe we cant wait to see what he has in stall for our joint bday jam. Introducing DJ MO’FUNK, one of Sydney’s favorite sons back in town back in Sydney after 7+ years throwing down hip hop, funk, disco and beyond as resident selector at Ibiza’s Pacha. Check him out doing his thing for DJsounds in 2012, throwing down everything from a dope selection of the boogie, funk and hip hop grooves he is so well known for. Sydney-bred DJ Mo’funk isn’t just a veteran of the Australian dance music scene, but now an annual fixture on the biggest clubbing playground of them all – the Spanish party isle of Ibiza. Since first venturing there with his record crate as a virtual unknown in 2007, Mo’s racked up sets at too many of the island’s hotspots to name. His 2012 tour of duty saw him hold down residencies at no less than three clubs: Pacha, Ocean Beach Club, and the big one, Space, where he regularly stepped up to the plate for their We Love… and Carl Cox – The Revolution club nights. Not content to just bask in the Northern Hemisphere sun, he’s brought some of that Ibiza spirit back to Sydney for summer. Mo’funk has held the true art of the DJ close to his heart since his introduction to the Sydney club scene in 2001. Over 14 years of obsessively seeking out good music, both new and old, he’s honed the skills to deliver the goods every time – whether spinning Downtempo Grooves, Soul, Hip-Hop and RnB, or the many flavours of House music he favours. At a club or festival, a cocktail bar or a fashion parade, you know what’s on the agenda when Mo’funk is in charge of your dancefloor: Real Music, Real Skills and the Uniqueness that no one can duplicate. And, most importantly, the Funk that he takes his name from! Had to post this one, never been a wrestling fan but this put a smile on our faces, ‘the most illegal move in wrestling history’ just happens to be an amature bboy throwdown in a wrestling ring to Sugarhill Gangs – Rappers Delight.